A sound social media strategy encompasses many tasks: from growing the number of followers and creating quality content to developing the brand’s voice and analyzing data to improve the relationship between the brand and its consumers. 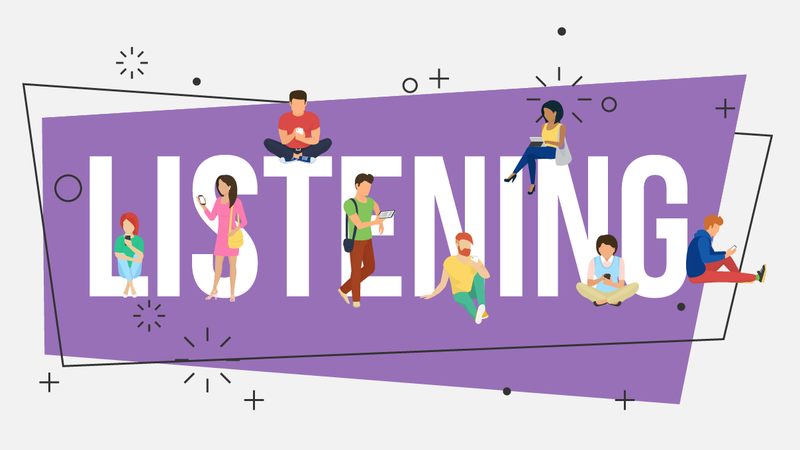 When your fanbase is counted in the thousands (or millions), posting things on social media becomes a very serious thing: while the margin for mistakes is reduced, new opportunities become available – and social listening is one of them. Reactions to the published content: what are they saying, how often, and how? Follower – follower interactions: what are followers saying to each other? Who are the conversation starters, what do they say, what defines them? Brand – follower interactions: what are we saying and how? What are the outcomes of such conversations? Are we talking too much or too little? Are we answering on time? Ghost interactions: people often talk about brands without including the brand’s social media handle in the conversation. What happens there? What do these conversations say? By definition, a good listener is not waiting for the other to finish to snap back an answer; it sees in other people’s words an opportunity for reflection and discovery. And in the case of brands with strong fanbases, the benefits of listening can be magnified by analytics. Improving the quality of future publications / postings. Learning more about your fan base and their motivations to interact with your brand (why are they talking to you? Is that the conversation you expect? Is that the conversations you want?). As it happens, the ability to listen has been thoroughly appreciated across cultures and eras; it allows better conversations and meaningful interactions. Unlocking a brand’s listening skills is one of the things we do here at Cozmic Group: with patience and attention, data can drive the conversation towards the things that matter for the brand and its followers.